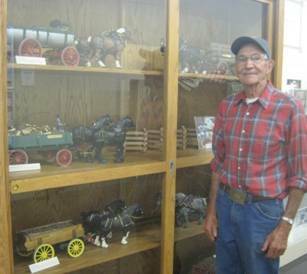 The North Manchester Center for History is delighted to host an exhibit of 23 detailed scale model wagons and their hitches that farmer and hobbyist Don Bechtold has loaned to the museum. 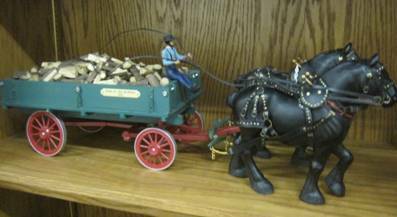 The models include everything from circus wagons, to old time farm vehicles, to show hitches, each with accurate scale model horses and liveries. Nine models are in the front windows, the rest inside. Visitors marvel at their accurate detail. Bechtold began his hobby in the late 1960s. He says he threw away his first three attempts, but gradually honed his skills as a woodcarver. He buys the model horses he uses, but reshapes them into the stance he wishes to create. He paints them accurately to represent draft horses—Clydesdales, Percherons, Haflingers and Belgians. Some of the tools of his trade are oven, soldering iron, hacksaw, copper tubing and paint. 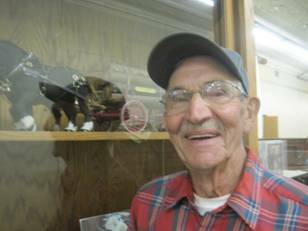 Bechtold grew up with horses and began his hobby as a result of showing Haflinger draft ponies at the Indiana State Fair. The six-horse hitches and show wagons in the collection come from that experience. 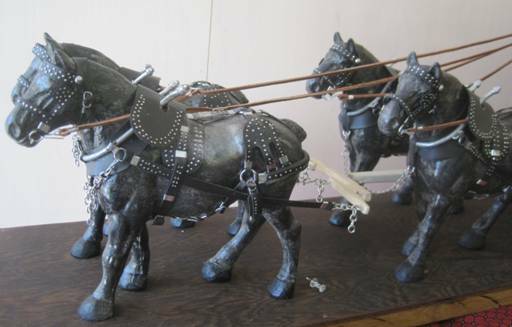 He also took ponies to the Milwaukee Circus Parade for several years, which inspired the model circus wagons on display. Bechtold continues to create the detailed horses and wagons in his spare time. He says he does not plan to sell them, but to give them to close associates and to his children and relatives. Meanwhile, the community can enjoy them on display as a long-term loan to the Center for History. Regular hours for the Center for History, 122 East Main Street, are 10 a.m. to 4 p.m. Monday through Friday. The Center is open to the public with free admission during North Manchester’s Harvest Festival on Saturday, September 26, from 10 a.m. to 4 p.m.